The X-Men film franchise has seen quite a turnaround over the last few years. Once considered all but finished after X-Men: The Last Stand and X-Men Origins: Wolverine were loudly a vehemently dismissed by fans, things turned around with the promising prequel X-Men: First Class. The franchise reached new heights with the return of original director Bryan Singer for X-Men: Days of Future Past, a film that united the casts and narratives of the original X-Men film trilogy with that of First Class, and that was met with critically acclaim and a hefty box office payday. 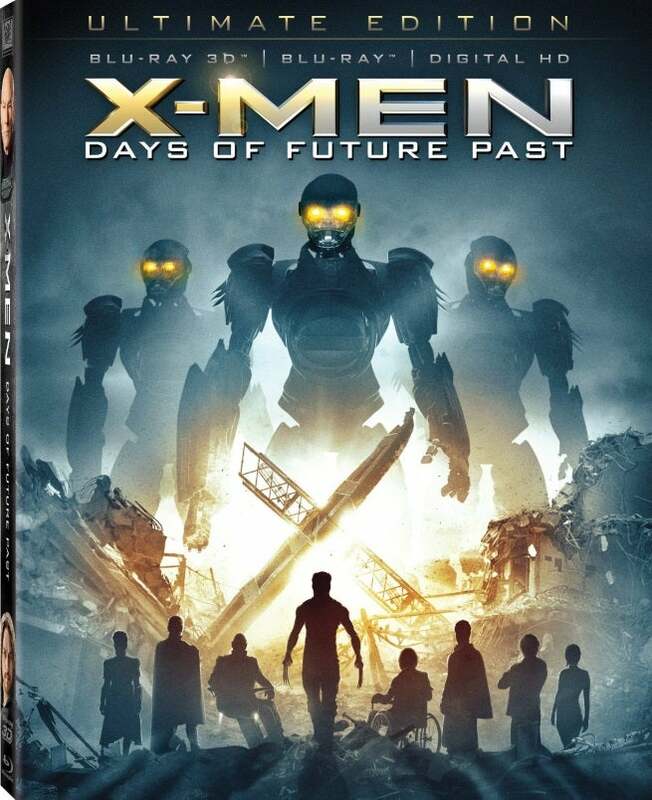 As writer and producer on the film, Simon Kinberg played a large role in the success of X-Men: Days of Future Past, which released this week on Blu-ray and DVD. Kinberg is staying busy though, looking ahead to the next X-Men film, X-Men: Apocalypse, as well as the reboot of The Fantastic Four, and some potential X-Men spinoff films. ComicBook.com had the opportunity to speak to Kinberg about all of these projects and more, and he revealed some exciting things on the horizon. Going into Days of Future Past, there was a vocal group of fans online who deriding Quicksilver’s look in the film. However, coming out of the film, Quicksilver was often cited as the film’s highlight and was the favorite part of the film for many viewers. Do you a particular sense of pride about how well received he ended up being, and do you have plans to continue using the character in future films? Yeah, I’m very proud of the way that he turned out in the movie, and I think that is as much a credit to Bryan Singer as anything in the film. Just to go back, when I actually wrote the original draft of the script, before Bryan was the director, that part was actually young Juggernaut. It wasn’t Quicksilver. And Bryan read the script, and one of the first things he said was he felt like we had seen Juggernaut’s powers visually explored in X-Men 3, and so he wanted a new mutant. So we went through a list of mutants, and Quicksilver was the one that he chose, because he had a very clear vision for the character and for the way we would see the power on screen. Bryan had seen some high speed photography on YouTube, and he just knew how he was going to evoke the power. And, you know, when you’re making a movie, especially a movie like this, there’s so much conjecture about it, and everything is so scrutinized, people judge characters based on stills taken out of context, or promo shots that aren’t even in the movie. But we had screened the film for friends and family - little screenings - and consistently, from really the first screening, especially the kitchen sequence got such an amazingly positive response that I wasn’t that worried about the real response of audiences when the movie came out, because I felt really confident in the way that we put him on screen. So yeah, I love the way the character turned out, I love having him as a character. We definitely want to see more of him. He was a lot of fun to work with, and it’s just a different energy from other characters in the franchise. To me, what’s exciting about Quicksilver is not just how cool the power looks, but that he has an attitude that’s slightly different, I would say, than any other X-Men character that we’ve seen on screen. In addition to the X-Men franchise, you’re also involved with The Fantastic Four franchise, and in that case you’ve gone back to scratch and done a full reboot, whereas with X-Men: Days of Future Past, you’ve used narrative devices to tweak the franchise and open up new story possibilities. Do you feel that one of those methods is riskier or more difficult to pull off, or is it just a matter of what property you’re working with? I think it varies. I don’t think there’s a hard and fast rule. As a writer, especially, I feel like it’s all pretty hard. The challenge with any of these big universes is that, one, there’s so much material to draw from. You have to make decisions about what you want to include and exclude. And then, two, obviously there’s just so much pressure on them. When you’re just trying to tell a story, you want to focus on just trying to tell the best possible story. You know, we kind of rebooted, in a way, with X-Men: First Class. Obviously, it wasn’t the same thing as telling a present day X-Men story with a whole new cast, but it was starting from scratch with those characters from younger, obviously. I don’t know. I mean, I have to say, I find origin stories slightly easier to tell, only because you kind of already have the first act mapped out for you, you know? The characters need to meet and/or transform by a certain point, and then react to that meeting or transformation. It’s a little bit different when you’re picking up characters later in their relationships. That’s a little bit, to me, more complicated, and maybe a little bit more complex. Speaking of Fantastic Four, we’ve heard a lot of conflicting rumors and reports about the potential of a crossover between those two franchises. Have you heard any talk of that coming from the studio, and if there is, is that something you might be interested in being a part of? To be honest, I’m so focused on each of the movies right, I’m so focused on, now we’re post, on Fantastic Four, and making that the best movie it can be. And then we’re in prep on X-Men: Apocalypse, so those are kind of full time jobs. I love the characters, I love the characters in Fan Four, I love the new cast. Obviously I love the characters and cast of X-Men. So, hypothetically, the notion of putting them together is really intriguing, and there’s some really fun stuff that the comics have done in the past. So it’s not out of the realm of possibility. There’s talk now of a Gambit spinoff film. Which of the characters that you’ve written for X-Men do you think would be most deserving of their own spinoff film, beyond Gambit. And, of course, Wolverine, who has already had his own spinoff films. Deadpool’s going to have his. The characters are all so intriguing to me. I don’t know that you’d necessarily want a standalone, but if you’re asking who my favorite characters are, Magneto has always been my favorite X-Men character. He’s actually my favorite comic book character, and I love what Michael Fassbender has done with him. I think there are a lot of really intriguing characters. Raven, I thought, is a very fascinating character, and I think the way that we’ve now constructed her, as sort of the daughter of both Charles and Erik, someone who carries both of their philosophies and yet is also independent, is a fascinating character. I think you can say that about a lot of them. Part of what I love so much about the mainline X-Men movies is just the density of the storytelling. Days of Future Past, to me, is the best example of that, so far, that we’ve done, we’re there’s just so much story within those two hours. There’s a lot of character work, despite the fact that you have 10 main characters to juggle. I don’t know, I like the ensemble movies, but certainly the comics have shown us that you can spinoff almost any character into their own series. You mentioned the Deadpool movie. Is that something you have an involvement with, or – and I know its early days – is that something they’re coordinating with the main X-Men films, or is it sort of separate entirely? There’s definitely a sort of overall plan that we’ve all been talking about for the X-Men universe now, and Deadpool obviously fits into that. So yeah, I guess I would say it’s part of certainly an overall timeline and thought process that goes into these films, some of which is inspired by the comics and some which is inspired by seeing what Marvel’s done with telling a larger tapestry and linking all those movies together, even as they stand independently as well. The same kind of thought is going to go into these X-Men movies at Fox. Looking forward towards X-Men: Apocalypse, there are two kinds of stories Apocalypse is usually associate with: the stories where he kidnaps some X-Men and turns them into the Horsemen, and then Age of Apocalypse, which is another alternate timeline story, like Days of Future Past. Are you looking at either-or, or both, of those kind of stories for the next film, or are you trying to do something more outside of what’s expected of the character? I don’t want to get too deep into because we’re kind of still in the process of making those creative decisions, but I guess I will say that, as much we can, we try to honor our favorite books, and I’m just going to be vague about it. There’s some stuff that will be original, there’s a lot of stuff that fans will recognize from the books, and then some stuff that will sort of grow out of the characters and the dynamics from First Class and Days of Future Past. Do you have a particular favorite Apocalypse story, be it Age of Apocalypse or something else? [Laughs] I feel like telling you that would be leading. Honestly, I would love to talk about it over dinner, but I feel like, because we’re still making decisions, and somewhat as a fan – I know people want to know stuff, but I don’t want to reveal too much and let the fans be a little bit surprised. I feel like that’s what we did with Days of Future Past, to some extent. Obviously, people knew the main story, but they sort of slowly learned some of the bigger decisions we were making as we were going. And I thought that was fun. It was also organic to our process, the collaborative process with me, and Bryan Singer, and Lauren Shuler Donner, and the actors. It evolves. It evolves as it goes, which you want, because any good idea or new idea, we’re game for and we’re open to. So, at any rate, I will only say I plead the fifth on that and you will see.